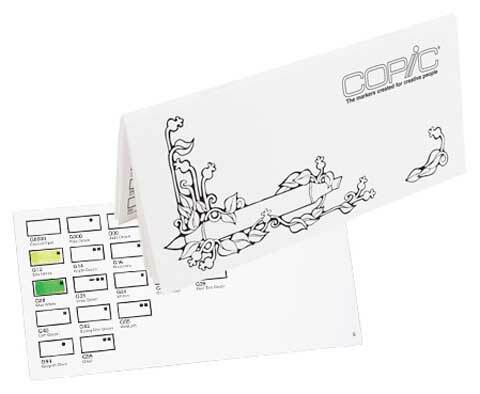 Sized to fit in a pocket or handbag for on-the-go convenience, this handy color swatch book helps artists easily keep track of which of the 334 Copic colors they own and which they still need. Printed on feather-resistant paper, this book provides artists with their own personal, accurate color chart to refer to when choosing colors for their artwork. The colors are organized by family. The book measures 3.5"x 7".